We pride ourselves on offering a bespoke service throughout Glasgow and its surrounding towns and village. Our team can create your new garden gates to your specifications, wither you require a set of railings to match, or if your garden is slopped, we can still work around this to provide you with a high quality, competitively priced set of garden gates. We are committed to ensuring you achieve the look you set out too achieve, which is why throughout the design process, right up to the delivery of your new garden gates, we will give you a clear communication of the exact size, shape and cost of your garden gate so you will know everything before it is installed. We pride ourselves on the service and the products we offer, which is why we have built up our reputation for being a high quality fabrication company in Glasgow; proven by the customer feedback we receive and the amount of customers that return to us for further services. 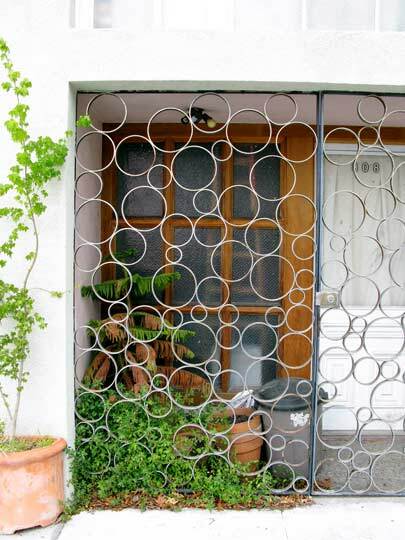 The same way you would use a locksmith to add extra security to your house, these beautiful looking garden gates can help you keep unwanted guests out whilst increasing the look of the exterior of your property. 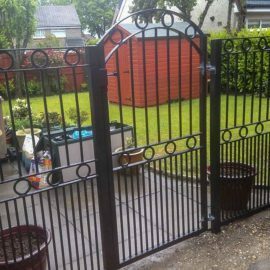 If this is what you want for your home, contact us at Abbey Gates to discuss the process of installing a set of garden gates. For more information on the services we offer and the products we can create, feel free to search our website or call one of our team on 01294 835 294 who will be more than happy to take you through the options. 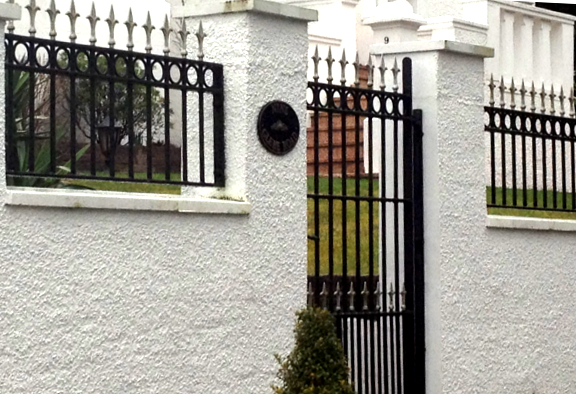 The introduction of iron gates can provide any property with an increased level of security as well as genuine beauty. 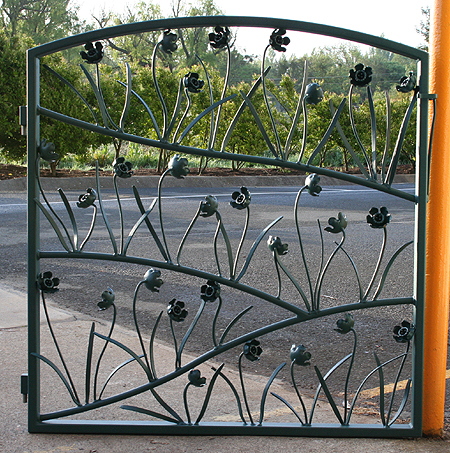 Here at Abbey Metals, our specialist fabricators have the capabilities to produce personal and unique wrought iron gates made to your personal specifications. Whatever your requirements, we are confident that we can produce iron gates that can really benefit your commercial or domestic setting. Copyright © 2019 Driveway Gates | Automatic Electric Gates | Wooden & Metal Gates. Powered by WordPress. Theme: Spacious by ThemeGrill.